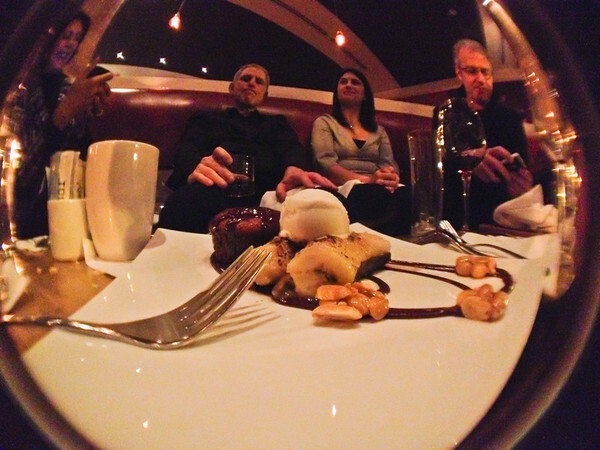 January 13, 2012 - Dessert at Proof. Ran downtown and met folks for happy hour and some eats at Proof. Good Fun, good friends and ya, the wine and food excellent too. Photo Notes - ya, you guessed it, iPro Fish-Eye lens on the iPhone. ISO 800, 1/15th, f/2.4. Had the camera resting on the table to keep it steady while I took the shot. Lit with available light - of which there wasn't a whole lot.